we listened you and added new features following your requests. If you have an account which connects directly to file PST (outlook local database) keep your actual version because this feature has been removed in this version. 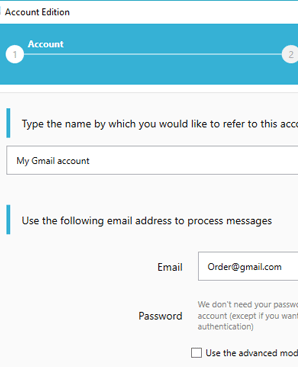 Automatic Email Manager is now available with an annual subscription (by default) or with perpetual license, including always free latest version and unlimited support. New function to manipulate data fields: Left$(field,5), RIGHT$(field,3), MID$(field,3,2). Read a tutorial here. New option to purge automatically the number of emails saved on local disk (for mirroring your email box), it will save you disk space. System to prevent files corruption when a 'Windows' crash occurs, it will backup and restore automatically. Improved folder organisation with shorter folder name. Log file keeps a full day of activities and no more the latest hours. Improved the core engine to support multi-core processor and improve the speed. Support encrypted email (certificate should be in store MY in Internet Explorer). Actions are now remplaced by Group of Actions, and Filters are remplaced by Conditions, check this page which explain the new system. 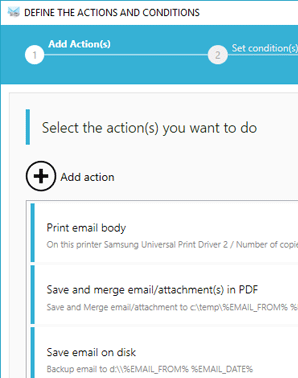 New Actions 'Save and Merge', 'Print and Merge', 'Copy message to another server folder', 'Set message flag'. When you merge email and attachments, you can define to merge first attachments and set email body at the end. If a problem occurs with a PDF during merging a message in the merged doc is generated to alert you. You can now add stamp when saving email and attachment on disk in PDF. Save email body with a template like in printing. 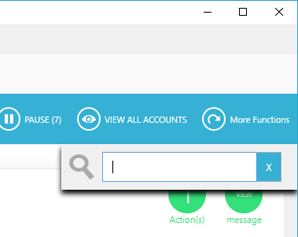 When you choose redo function, it redo now the actions set in the account and no more the original action. That's mean you can change in the account the actions and then apply it to each message. Improve internal PDF engine with network printers. Printing can use the original default settings set in Windows printer driver without any initialization from Automatic Email Manager. 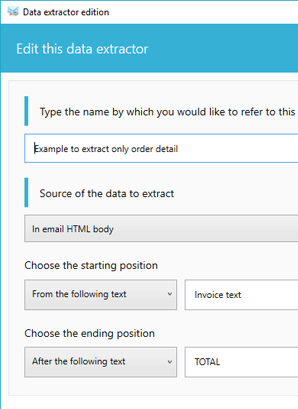 Added new fields like EMAIL_REPLYTO_FULL / EMAIL_REPLYTO_FRIENDLY / EMAIL_REPLYTO_PURE. You can use the function LEFT / RIGHT to keep only part of field. All rules in Condition can now be Optionals. Rule in condition(filters) supports Regular Expression (RegEx). Rule 'Has attachment' supports Yes/No. 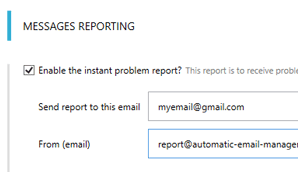 New report function: Instant report, receive an email when an error/problem occurs. The classical daily/weekly report has been improved by grouping messages. How to upgrade to version 7? Normally as a customer you received at least 1 email with a personal link to order the upgrade.